Every week, we’ll bring you a must-hear track from the Le Guess Who? 2018 line-up. 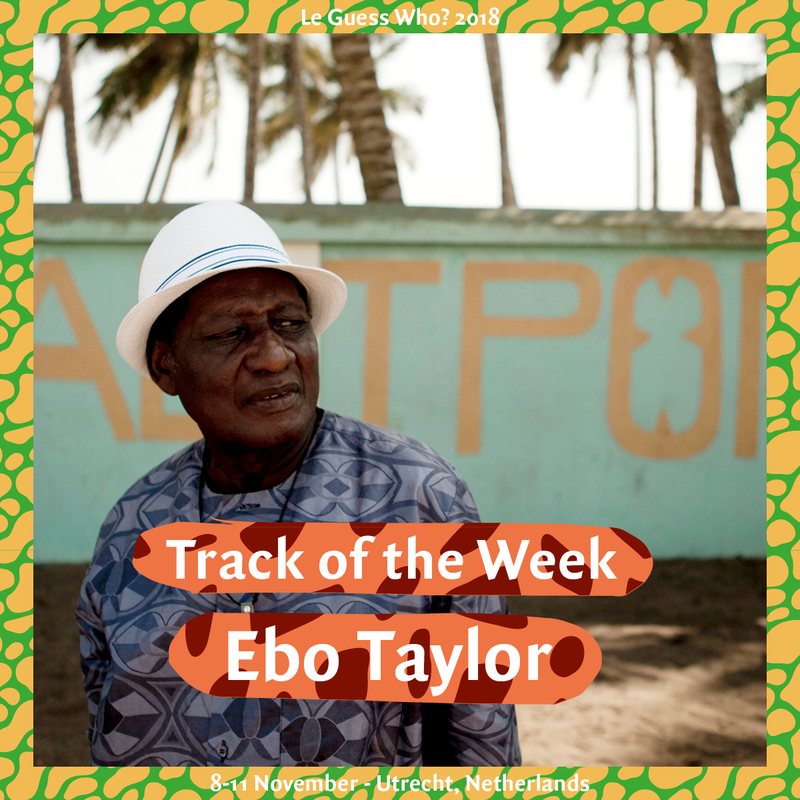 This week, it's a song from Ghanaian Highlife legend Ebo Taylor. Over the last six decades, 81-year-old Taylor has created an electrifying blend of jazz, afrobeat and funk, single-handedly changing the essence of this West-African music style. Ebo Taylor first recorded 'Love and Death' for his album 'Conflict' back in the 1980s. Re-released in 2010, this song acted as a gripping title-track for Taylor’s first-ever international album release. Right from the start, the song gets a hold of you, and then eases you into a masterful and lengthy jazz-funk instrumental piece. Listen 'Love and Death' below, and watch a video about the story of this track. You can also find this song in our official 2018 playlist. Ebo Taylor’s performance at Le Guess Who? 2018 is curated by Devendra Banhart. This curated program also features a.o. Jessica Pratt, Vashti Bunyan, Beverly Glenn-Copeland, Rodrigo Amarante, Roger Eno, and DRINKS.